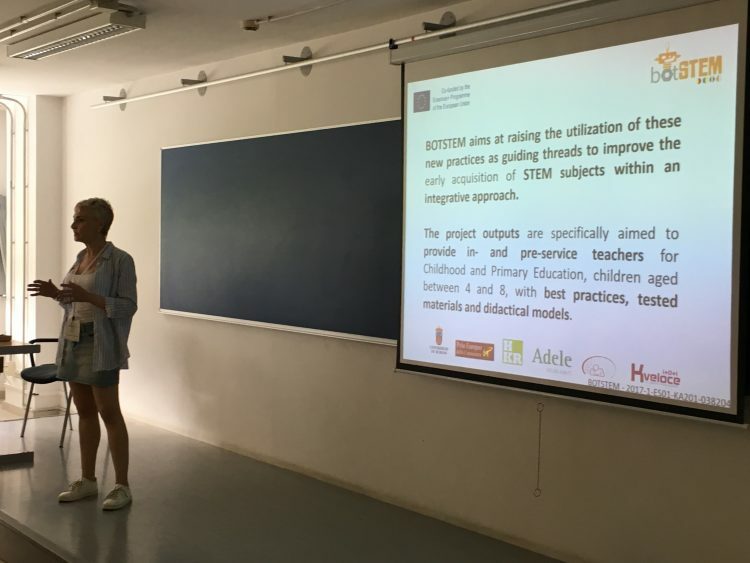 Throughout 2018 botSTEM Project has been introduced to the education community at different congresses internationally as well as in Europe. 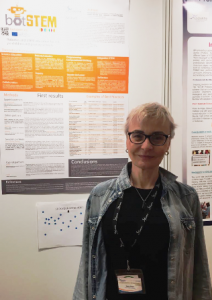 Firstly, it is worth stressing the presentation of a poster at the 3rd Scientix Conference (http://www.scientix.eu/conference) which took place in Brussels in May with over 340 participants including teachers, policymakers, researchers, teacher trainers and industries. This enriching experience provided the opportunity of sharing different science education projects and establishing and nurturing cooperation links among members of the education community. Our poster summarized the theoretical framework of the project and a selection of good practices in STEM education and robotics, produced and tested by teachers of different European countries. During that same month the University of Verona (Italy) was the setting of a Conference called ‘A talented school for talented students’ (https://www.europole.org/international-conference/) where teachers from 32 countries around the world put in common innovative experiences and activities related to robotics, mathematics, science and social values. On this occasion, botSTEM had the great chance to share with the participants the purposes and contents of the project as well as the new activities developed. 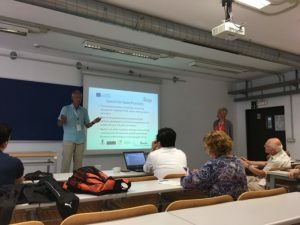 Finally in July, we had the pleasure of taking part in the Conference GIREP-MPTL ‘Research and Innovation in Physics education: two sides of the same coin’ (https://www.girep2018.com/en/home) hosted in San Sebastian, Spain. This event welcomed more than 200 teachers, educators, academicians and students who exchanged teaching strategies and ideas on Physics Education.